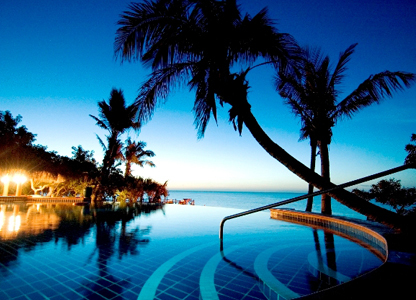 Bazaruto Island and Benguerra Island each have a number of resorts which offer outstanding scuba diving facilities but again these resorts are not cheap. Flights depart on a Monday and Friday only so the minimum time that one is able to spend at any one of these resorts is 4 nights/5 days and, with the 24 hours surface interval time between surfacing from your last dive till you board your flight, this does not allow for much diving!! You must allow at least 7 nights/8 days to do any of these sights justice. You need time to dive Moz!! Declared a National Park in 1971, the Archipelago boasts among its wildlife, 180 species of birds, endemic butterflies, suni antelope and freshwater crocodiles. 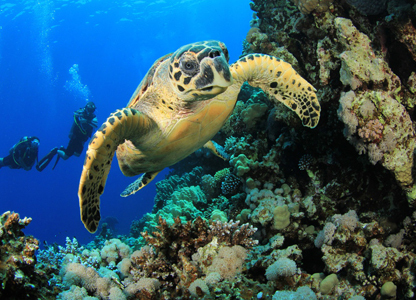 The protected reefs and beaches support dolphin, dugong, gamefish, giant lobster and several species of marine turtle. Community-orientated conservation projects on Bazaruto are funded by the WWF, the South Africa Nature Foundation and the Endangered Wildlife Trust. Overnight visitors to the Archipelago Islands are only permitted for the people who are staying at one of the lodges. dipped into the Indian Ocean over millions of years. Only Santa Carolina is a true Rock Island and is consequently surrounded by deeper water than the other three. All of the islands support populations of traditional fisherman and their families, many of whom are not permanent residents and may migrate between the Archipelago and the mainland in their pursuit of good fishing waters. Magaruque and Santa Carolina Islands are closest to the mainland, with Magaruque 10 kilometers (6 miles) due east of Vilankulo town, and Santa Carolina a similar distance from the coast. Benguerra and Bazaruto are due north of Magaruque, with Bazaruto 30 kilometers (19 miles) due east of Inhassoro. 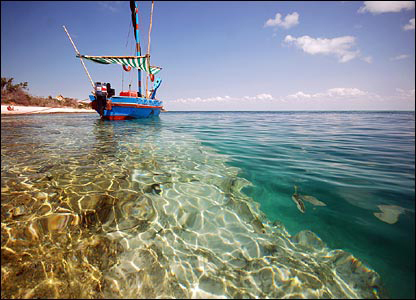 The eastern seaboard of the islands (apart from Santa Carolina) faces onto deep waters of the restless Mozambique Channel, rich in game fish. To avoid the occasional high winds and powerful currents, tourist facilities are all located on the landward (lee) side of the islands. 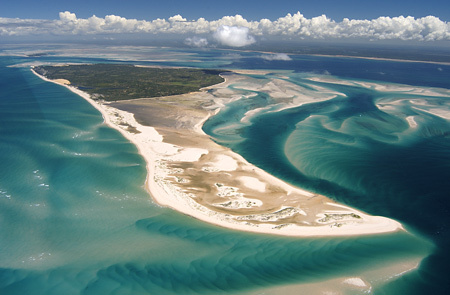 The Bazaruto Archipelago is a chain of tiny islands, Bazaruto Island, Benguerra Island, Margaruque, and Santa Carolina or Paradise Island, roughly 20km (12 miles) off the coast of Mozambique. These islands form part of the Bazaruto National Park. The islands unique and isolated ecosystem ensures near pristine diving conditions in warm water heated by the Mozambique Eddies, with an amazing tropical sea life of brightly coloured corals, anemones, fish and turtles to enjoy, while saltwater fly-fishing is growing in popularity in the Archipelago. In order to get to the Archipelago you would have to fly from Johannesburg International to a small town called Vilanculos on the Mozambique coast. From Vilanculos you would need a transfer to the island of your choice. This transfer would be either by boat or by sea-plane, depending on the weather. Flights from Johannesburg / Vilanculos / Johannesburg are daily. 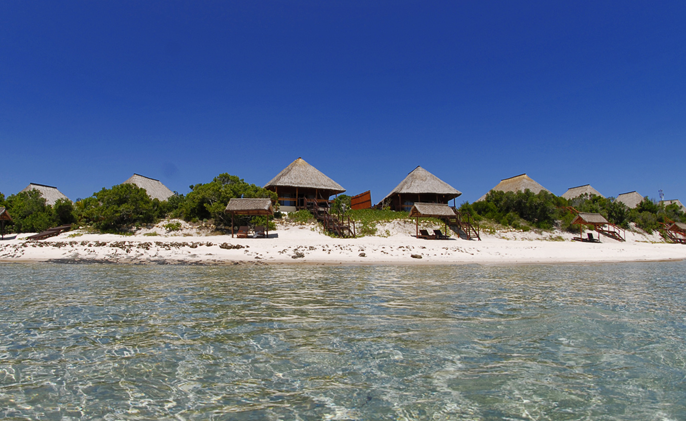 Most of the lodges (except Bazaruto Lodge) are situated on the landward side of the islands, so as to be protected from the winds coming in off the ocean, with a result that it is about a 45 minute to an hour boat ride to get from these lodges to the seaward side of the islands where all the diving takes place. There is no diving on the landward side of the islands, as its all sandbanks. By staying at a lodge on the landward side of an island you spend more time in the boat getting to and from the dive sites than you do actually diving.If you are an avid scuba diver your choice of lodge is of paramount importance. There are two Lodges on Benguerra Island, one caters mainly for game fishermen and the other for divers. On Bazaruto Island there are also two hotels, one a very modern "Club Med" type hotel Anantara Resort & Spa http://bazaruto.anantara.com/ , which is very far from any dive site and the other, Bazaruto Lodge, http://www.pestana.com/en/pestana-bazaruto-lodge/pages/home.aspx on the north end of the island and very close to the dive sites. They are currently building a hotel on Santa Carolina but it's not operational yet. There is nothing on Margaruque. Due to the nature of the continental shelf around the islands, its very shallow, this linked to the tidal variance, about 3 meters between high and low tide, you can only dive from 1 hour before high tide to 1 hour after high tide and again from 1 hour before low tide to 1 hour after low tide. This effectively only gives you a 4 hour "window" in a 24 hour period during which you can dive. When you take in surface interval time between dives and travelling time to get to the dive site this leaves very little dive time available. Anything outside this "window" is impossible to dive due to the ripping current brought on by the changing of the tides. The further out to sea you go the less impact this tidal varience has on the dive. When diving the reefs off Inhambane, Pemba and Ponta Mamoli this tidal varience has no effect on the diving at all. Please also remember that this is not a "multi - dive" destination, meaning that you will not be able to do 5 or 6 dives a day. The most you will be able to do is 2 dives a day. The reason for this being that the difference between high and low tides is about 3 meters and the reefs being quite shallow have a ripping 4 knot current running through, so the only time to dive is between one hour before high and low tides to one hour after high and low tides. Diving any time in-between you would be swept a long with the current!! But the diving is spectacular. Lastly, and alas, the reefs off the islands of the Bazaruto Archipelago are not as pristine as the reefs off the other dive destinations like Ponta do Ouro / Mamoli, the reefs off Inhambane like Barra and Tofo and the reefs further north off Pemba. This is due to human impact from the inhabitants living on the islands as the reefs on the seaward side of the islands are easily accessible to the locals as fishing reefs, compared to the reefs at the other locations I've mentioned which are not as easily accessible as the reefs off the Bazaruto Archipelago, and are therefore far more pristine with more fish life. If its just diving you are looking for then Barra / Tofo off Inhambane is, in my opinion, the best place on the Mozambique coast to dive, followed by Medjumbe and Matemo Islands in the Quirimbas, accessible via Pemba, but this is very expensive, in excess of US$ 300 per person per day, followed by the dive sites off Ponta Mamoli in the far south of the country. This is a flat coral reef with a drop starting at 12 metres and ending at 18 metres. The reef is large - around 1km and it takes 2 dives to complete the whole reef. Brindle Bass, Green Turtles, Job Fish, Neon Fusiliers and big schools of reef fish are common and in the summer months sightings of Mantas very common. is excellent for beginners and photographers. possibility of sighting Zambezi Sharks and Reef Sharks is good. The reef is flat with boulders in-between and plenty of green tree coral. This is an advanced dive. This is a flat reef at 5 metres and then a set of 4 potholes in a line along the reef are each 35m in diameter. The dive is very scenic with lots of caves and overhangs in the potholes. Good area to find Reef Sharks and Nurse Sharks. This dive can only be done at low tide. plenty of Brindle Bass and thistle soft coral. Relaxed scenic dive with caves, overhangs and the current is not strong. Greek Temple is excellent for beginners and photographers. The whole area looks like a broken temple and it is possible to see turtles and Electric Rays. It is best to dive during low tide. This is located on the southern tip of the island. 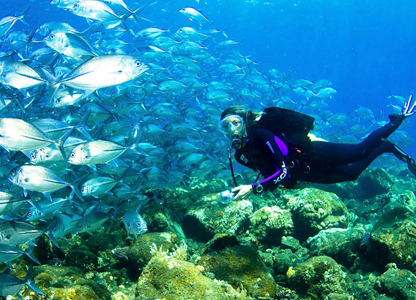 It is an hour’s boat ride to the reef and as the reef is really big, you will need 2 dives to cover the whole area. The reef starts flat and then builds up into boulders and overhangs towards the end. It is a good area for sharks and big schools of reef fish. Turtles are very common here. Visibility is not the best here but it is a good place for photographers. This reef is located on the western side of the island and is always protected from bad weather. This offers an alternative to dive when weather conditions on the eastern side prohibit diving. It is common to see schools of reef fish, Scorpion and Stone Fish. Is 18.9km due north of the island. This reef is 4km long and starts at 24m, then goes down to 40m. This is suitable for experienced divers and an advanced qualification is needed. The dive is possible at spring tides, and low tide. The reef is flat on top and drops to 40m, with big caves and overhangs all the way down. It is a good area for big game fish and sharks, as well as possible sightings of Oceanic White Tip Sharks and Silvertip Sharks. The current is strong, therefore only drift diving and a minimum of 4 pax for this dive site.